Sun, Jan 20, 2019, 10:38 pm SL Time, ColomboPage News Desk, Sri Lanka. 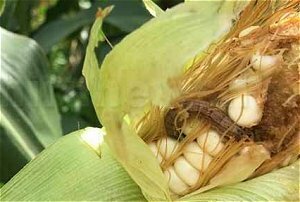 Jan 20, Colombo: As the fall armyworm infestation has alarmingly spread to many areas in the country, the Ministry of Agriculture has decided to cancel the leave for all officers in the Department of Agriculture and Department of Agrarian Services from tomorrow until further notice to battle the caterpillar. The Director General of Agriculture Department Dr. WMW Weerakoon said all field officers should definitely go to the field as one step in the program to curb the caterpillar infestation. The Director General said that they should prepare daily reports on the infestation and educate farmers on the measures need to be taken to control the damage to the crops by the fall armyworm. Meanwhile, the Agriculture Ministry said a program will be implemented to provide relief to the farmers for the damage caused to their cultivation due to the caterpillar infestation. Attention has been drawn to provide crop insurance given to other crops to the severely affected maize cultivation. The Ministry said that an accelerated program has been launched to minimize the damages.